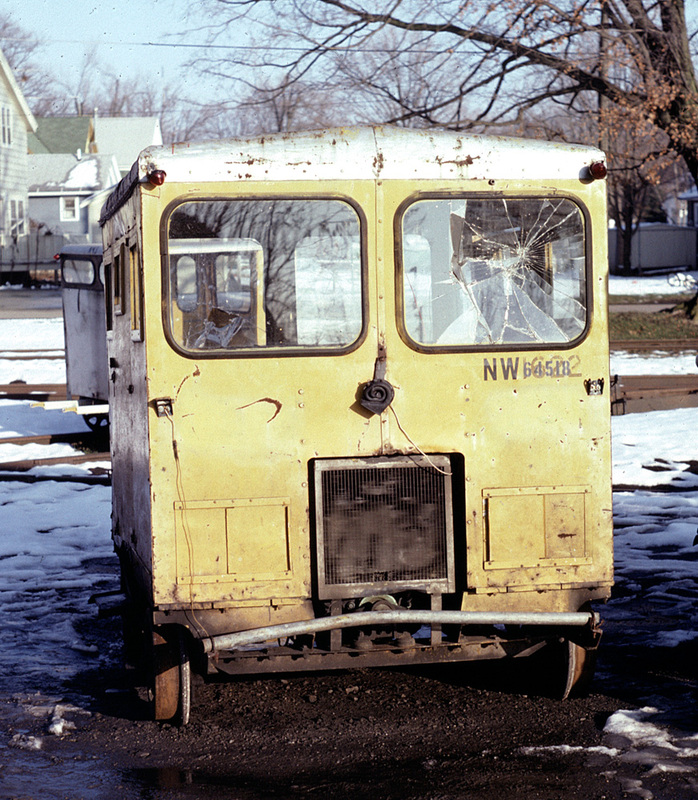 In the mid 1980s, the Norfolk and Western Railway was in the process of retiring its track motor cars (speeders) from service. 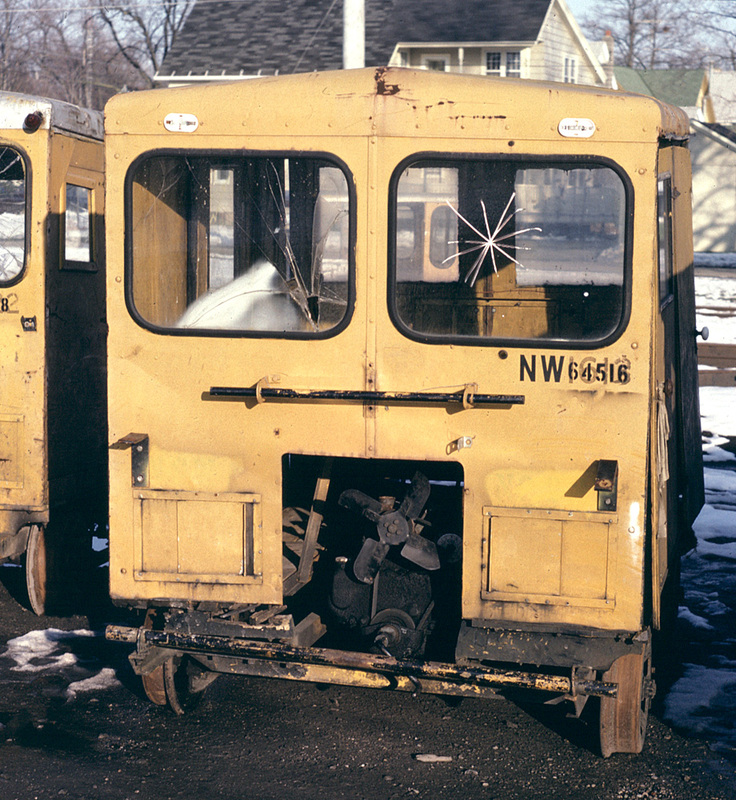 The cars were being replaced by hi-rail trucks, and the retired cars were sent to the N&W yard at Bellevue, OH for disposition. Every few months, after enough cars had accumulated, a sale would be held. Cars were sold for a set price (rather than an auction), and could be picked up on a first-come, first-served basis. The smaller cars, such as M9s and M19s, were the most popular sellers. Often larger gang cars sat, with no willing buyers. 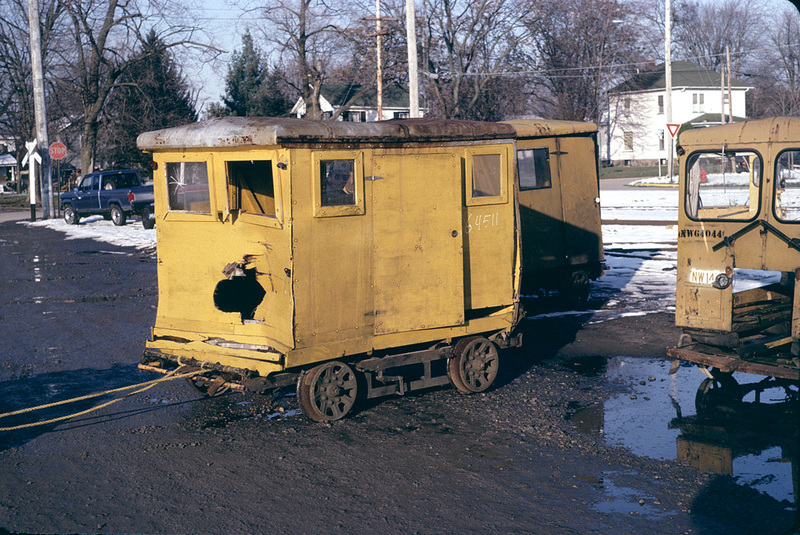 At the Southern Michigan Railroad Society, we had earlier picked up one gang car (ex-N&W 1413) for a bargain price of about $100. It turned out to be a good purchase, as it had a recently overhauled engine, and could be used for track maintenance work and for passenger service. We decided that picking up a few more such cars would allow us to build a “motor car train” for passenger service. 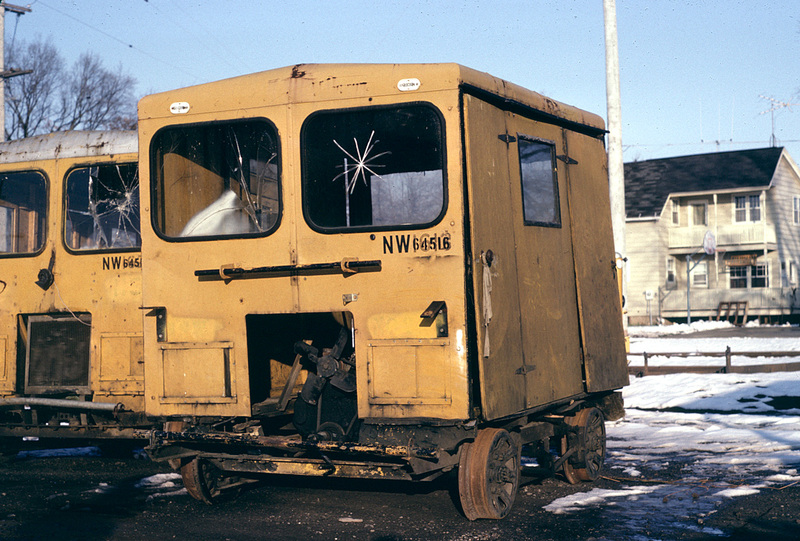 An N&W sale was announced in November 1986, and a crew of SMRS members headed to Bellevue to pick up any gang cars we could. We found five of them that would be useable. Although visually rough, all had straight and intact frames, and several had rebuilt motors. Others were missing crucial parts, but as our plan called for converting some into unpowered trailers, this didn’t matter. Member Ernie Jeschke used his connections to arrange a low-cost truck move for all five cars, and the N&W helpfully loaded the cars with a forklift at Bellevue. The cars arrive in Clinton, Mich. at the SMRS in late November, and the Tri-County Logging Co. donated the use of a forklift to unload the cars. 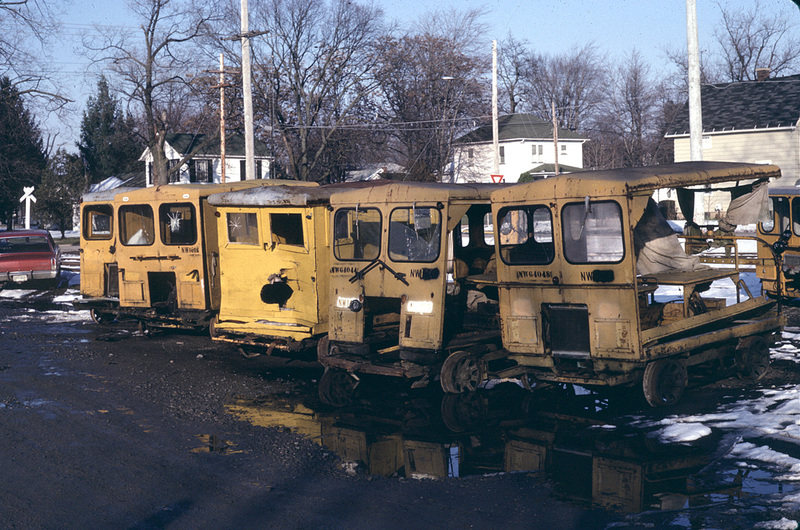 Here the cars are seen on 23 November 1986, as they were sorted out and we prepared to move them into the shop for conversion work. Ex-N&W A5 #64516 (exx-1612), missing its radiator. Ex-N&W A5 #64518 (exx-1622). The wooden car sides were home-built by N&W forces. 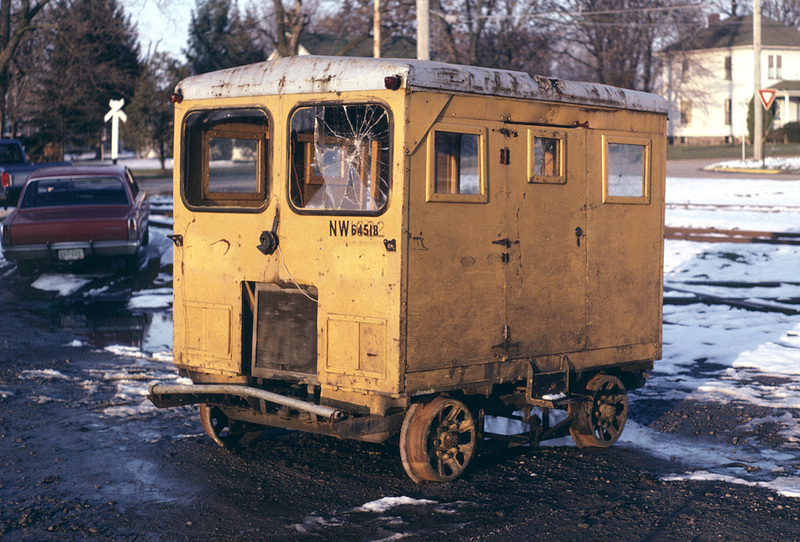 A motley-looking crew—but from these wrecks, we would built 3 trailer cars and one power car. Ex-N&W A5 #64511 heads for the SMRS shop—this unit was pretty bashed up and its frame would be used in the construction of a trailer car.